Lauded by The New York Times as a “terrific singer” with a “deep, rich timbre” and the San Francisco Chronicle as an “opera powerhouse” with a “weighty and forthright” sound, Sidney Outlaw was the Grand Prize winner of the Concurso Internacional de Canto Montserrat Caballe in 2010 and continues to delight audiences in the U.S. and abroad with his rich and versatile baritone and engaging stage presence. A graduate of the Merola Opera Program and the Gerdine Young Artist Program at Opera Theatre of Saint Louis, this rising American baritone from Brevard, North Carolina recently added a GRAMMY nomination to his list of accomplishments for the Naxos Records recording of Darius Milhaud’s 1922 opera trilogy, L’Orestie d’Eschyle in which he sang the role of Apollo. Last season for Mr. 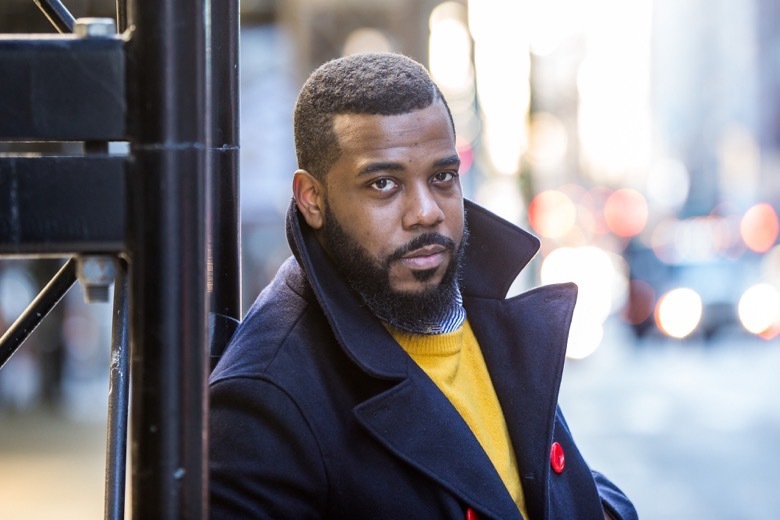 Outlaw included his Dandini in La Cenerentola with Greensboro Opera, appearances with the Charlotte Symphony, the Bridgehampton Chamber Music and Colour of Music Festivals, his Spoleto Festival debut as Jake in Porgy and Bess, and Madison Opera’s Opera in the Park. The 2016-2017 season includes Mercutio in Roméo et Juliette with Madison Opera, Vaugh Williams’ Dona nobis pacem with the Memphis Symphony Orchestra, a recital with Warren Jones, and a return to the New York Philharmonic. Prince Yamadori in Madame Butterfly at Opera on the James, the cover of Dandini in La Cenerentola with Florida Grand Opera, Ariodante in Handel’s Xerxes and Demetrius in Britten’s A Midsummer Night’s Dream for the International Vocal Arts Institute, Papageno in Die Zauberflöte and a sensational international debut as Guglielmo in Così fan tutte, in both Germany and Israel. halls: Haydn’s The Creation and Handel’s Messiah at Carnegie Hall, Beethoven’s Symphony No. 9 at Avery Fisher Hall, Mahler’s Lieder eines Fahrenden Gesellen with Music Academy of the West and “Wednesday At One” at Alice Tully Hall, John Stevens in the world premiere concert of H. Leslie Adam’s opera Blake at the prestigious Schomburg Center for Research in Black Culture in Harlem, and the world premiere of Wayne Oquin’s A Time to Break Silence: Songs inspired by the Words and Writings of Martin Luther King, Jr., commissioned by The Juilliard School. 2011 Gerda Lissner Foundation Awards, National semi-finalist in the Metropolitan Opera National Council Auditions, semi- finalist in the Francisco Viñas International Singing Competition, finalist in both Concours International Musical de Montreal and George London Foundation, and grand prize in the Florida Grand Opera/YPO Vocal Competition. He holds a Bachelor in Music Performance from the University of North Carolina at Greensboro and a Master of Vocal Performance from The Julliard School.